After our exciting, busy trip to Australia (which you would have read about on the blog or in our August & September Monthly Recap) we’ve have had a fairly quiet few months back in the UK with the exception of a romantic getaway to the Swiss Alps for our anniversary and a lot of festivities over this holiday season! Our most exciting news though is that Dan’s partner visa for Australia was approved! I checked my emails late one Friday afternoon in December to find an email from our Immigration case officer with a visa grant notification. We weren’t expecting to receive it for another 6-8 months because when we applied we were told it would be a 14 month wait, and ours was approved in only SIX months! We’ve had plenty of celebrations and are SO excited to be heading back to Australia next year to start our lives there… but before that we’ve got PLENTY of exciting European holidays to be had and shared! 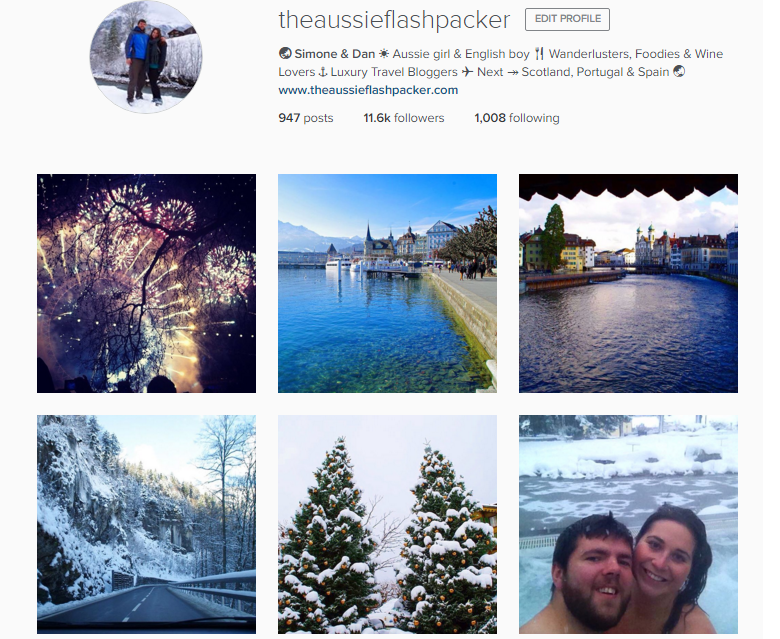 If you are regular readers of our blog or follow us on social media (particularly Instagram or Facebook) then you will know that we absolutely fell in love with Switzerland on our recent visit. 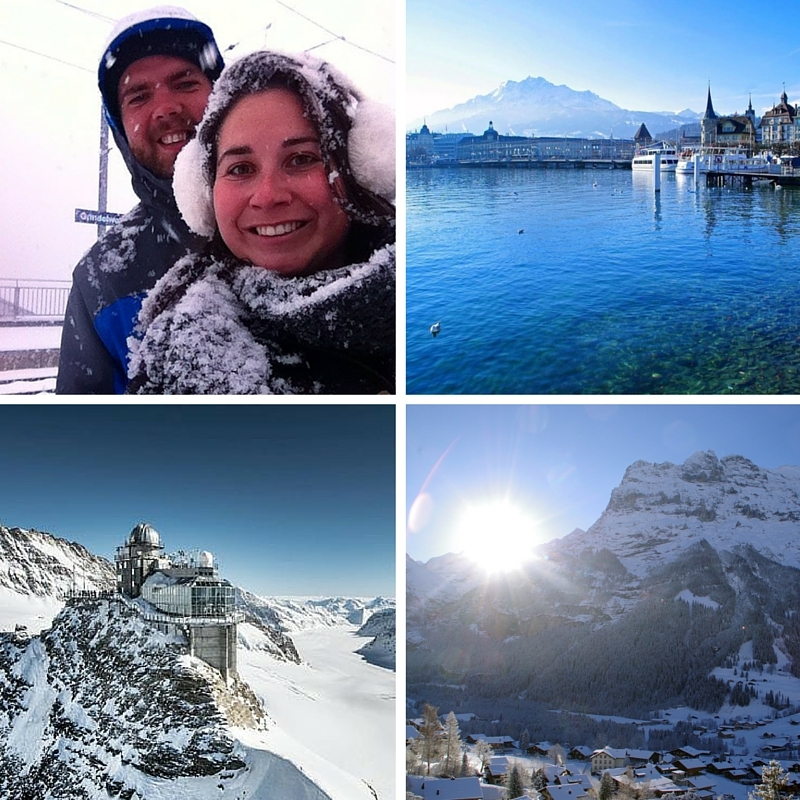 In addition to enjoying the first snow of the season in Grindelwald, we also enjoyed driving through the Swiss Alps, explored lovely Lucerne, dined on Swiss Fondue and visited the Jungfraujoch – Top of Europe. My youngest brother Jake and his girlfriend Jackie arrived in the UK in late October and have been travelling around Europe since! 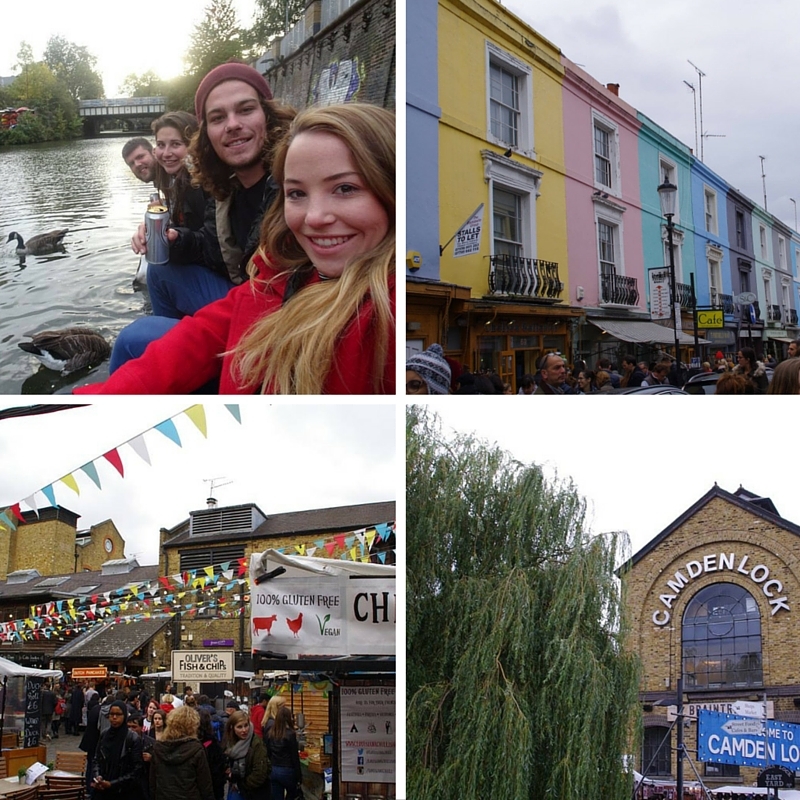 We spent a lovely weekend in London with them, showing them around Hyde Park, Notting Hill, Kensington & Chelsea, Portobello Road, Central London and Camden. I’ve loved following their adventures on Facebook since and love that most of my family also has the travel gene (and bug)! I’ve really enjoyed celebrating the festive season in the UK this year (even with the lack of snow). It was my second Christmas away from home which is always hard but it made it a lot better knowing that next year we will be celebrating in Australia! 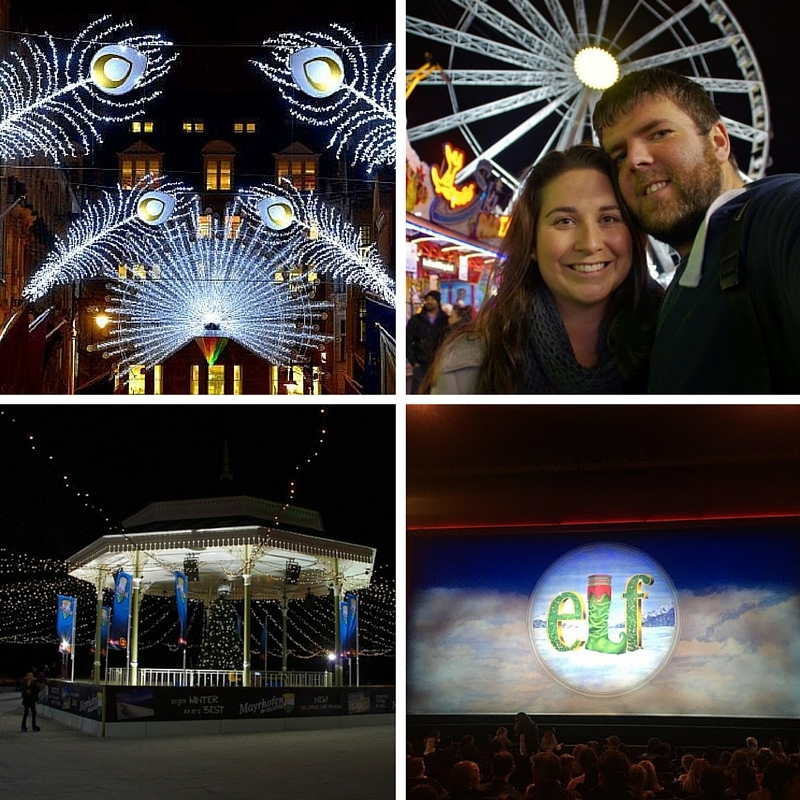 I loved the lead up to Christmas and we enjoyed the opening night of Hyde Park Winter Wonderland and also visited London to see Elf the Musical which I LOVED! London is so beautiful this time of year all lit up and decorated and a part of me will certainly miss that a little when we are sweating it out next Christmas! 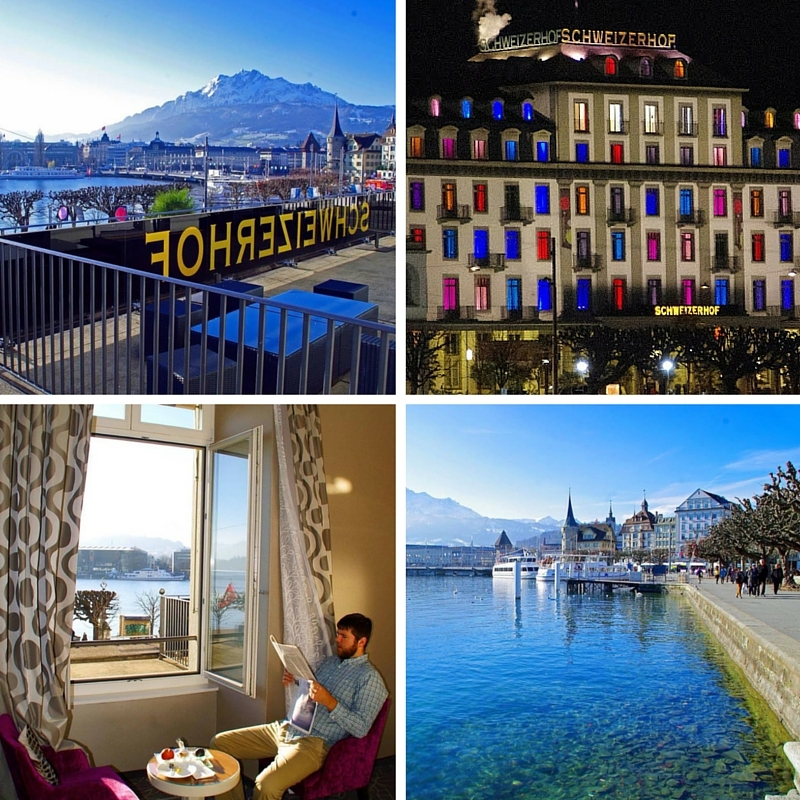 We’ve stayed in a number of lovely hotels and apartments over the past few months but our two favourite without a doubt would have to be from our trip to Switzerland. Firstly, is Hotel Belvedere in Grindelwald which turned out to be not just one of our favourite hotels of the past few months but one of our favourite hotels of ALL times! We spent a few days here for our anniversary and were lucky enough to arrive for the first heavy snowfall of the season! Grindelwald is the most picture perfect Alpine village, and our stay at Hotel Belvedere was absolutely perfect. We had breathtaking views from our room and balcony, were treated like family by the staff and I finally got to tick off a big item from my bucket list: A Hot Tub in the Snow! Hotel Belvedere has a large outdoor Jacuzzi and we spent A LOT of time in there! 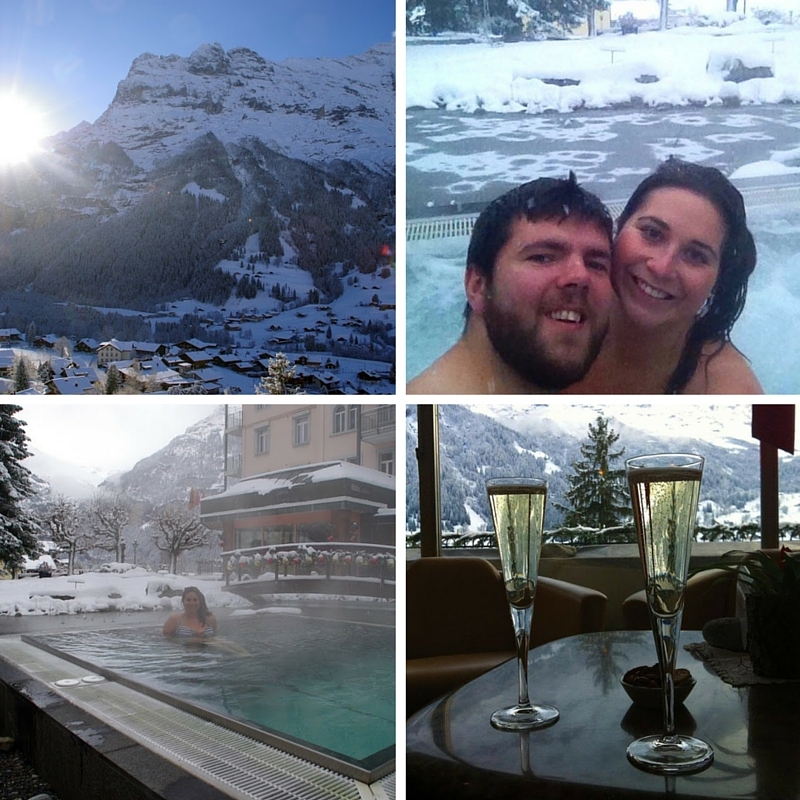 My favourite evening was after a big day exploring the Jungfraujoch we slipped into the hot tub and were actually blizzarded on for a few hours straight. It is one of my favourite travel memories and was such a special moment. We loved Hotel Belvedere so much that we are planning to return in April! It’s been a busy few months for the blog, and we have continued to grow in terms of traffic, views and followers! We now have over 25,000 followers on social media and we are stoked that our Instagram has grown to over 11,500 followers! We have moved up in our UK Travel Blog Rankings to #32 on Trips 100 and we’ve also landed in the Top 100 of the Rise #travel 1k Top 1000+ Travel Blogs which we are thrilled about! The lovely Dannielle from While I’m Young & Skinny named us as one of her Travel Blogs you Should Definently be Reading and Nomadic Lives interviewed us as their December Travel Bloggers of the Month! We collaborated on a number of posts and were interviewed by Luke from Anti Travel Guides about our experience Hiking the Inca Trail. and Extreme North Wales featured our Welsh adventure of climbing Mt Snowdon in Winter! 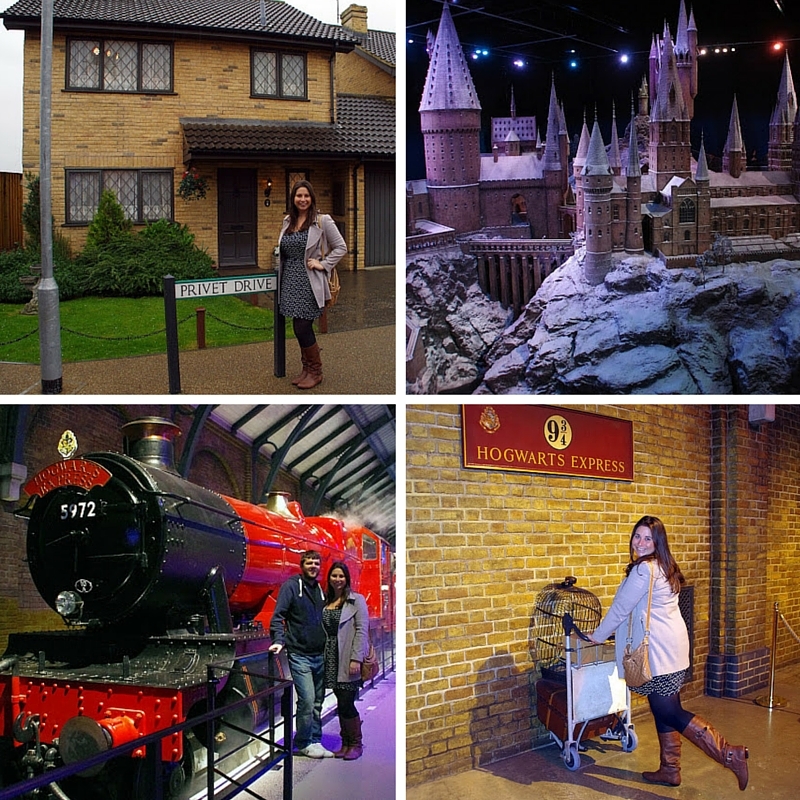 Ana’s World asked us & 24 other bloggers their Favourite Destination of 2015 and it was also published in the Huffington Post! We spoke to Ice Lolly Holiday about our favourite European Christmas Markets and Five Dollar Traveller about our Best Foodie Experience of 2015. I’ve loved following The Department of Wandering‘s stunning trips to snowy Val d’Isere and Saas Fee! I am so obbsessed with snow & her stunning Instagram photos have me seriously wanderlusting & begging Dan to book a ski trip! I also recently discovered The Bosnian Aussie Blog and have been loving her Balkan posts! It is a part of Europe where there isn’t a huge amount of information online and as we are visiting all these countries next year I’ve found her posts really helpful & also inspiring (plus her photos are stunning)! Last but not least, I LOVED reading Mrs Ayla’s Adventures Cinque Terre posts & watching Flying the Nest‘s vlogs from the Cinque Terre! This is one of the top destinations on my European Bucket List and I cannot wait to tick it off next year and their posts & videos have made me even more excited! We’ve only got three months left in the UK which is exciting and a little scary! Whilst we will need to spend these next few months sorting our lives out here we’ve still managed to squeeze in a few little trips abroad! We’ve got a luxurious weekend retreat in Norfolk booked for January and are planning a week in Scotland exploring Edinburgh and the Highlands in February (fingers crossed for snow)! What exciting travels do you have planned for 2016?